Before joining Holmes Weddle & Barcott in 2012, Mr. Darling practiced in the area of maritime and commercial law in a local Seattle firm. From 2004 to 2006 Mr. Darling lived in the United Kingdom, where he qualified as a solicitor and worked for Her Majesty's Government, defending claims against public agencies. Prior to this, he was a Senior Associate at a mid-sized Puget Sound firm, where he handled a wide variety of civil litigation matters. Mr. Darling’s practice is concentrated on commercial and maritime matters, with an emphasis on litigation and providing clients strategic advice to avoid and resolve disputes. 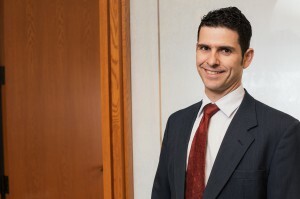 He has represented clients in a wide variety of litigation matters, including multi-party commercial disputes, unfair competition claims, vessel liability suits, shipyard disputes, breach of fiduciary duty, fraud claims, personal injury and insurance litigation. He has also performed transactional and corporate work for business clients. Mr. Darling is a member of the Washington State Bar Association, the California State Bar Association, the Law Society for England & Wales, the U.S. District Court for the Western District of Washington, the Middle District of California, the Southern District of California, and the Ninth Circuit Court of Appeals. Mr. Darling has acted a Board member for Pasado's Safe Haven, a Washington animal rescue and advocacy organization. He is on the Ninth Circuit Pro Bono Panel and also has done pro bono work for the ACLU of Washington. He has acted as general counsel for the Rat City Rollergirls since the league was formed in 2004. Mr. Darling has written on a variety of legal subjects, including antitrust, federal procedure, intellectual property and animal cruelty. Mr. Darling has taught Civil Procedure in the Paralegal Program at Edmonds Community College and presents at seminars on the subjects of civil and commercial litigation.